Is gamification right for your company? Are your sales reps excited to come to work each day? Or do they dread each call, pensively check their monitor clocks, mentally computing how much time there is left before they can leave the floor? According to the 2014 Global Workforce Study conducted by Towers Watson, four out of 10 employees are disengaged. Some of the reasons they are unmotivated are pay, industry, management and company culture. It is in every company’s interest to have motivated employees. In sales situations that can be high-pressure in nature, ensuring that sales reps are locked in and engaged is one of the sales manager’s most necessary tasks. Recognition, remuneration, and a competitive sense are all excellent motivators. Gamification works well with workplaces. It banks on each of these motivators to keep employees locked in and focused. Gamification is the marriage of productivity and technology where game mechanics are used in a non-gaming context. Traditionally, games and work do not mix. 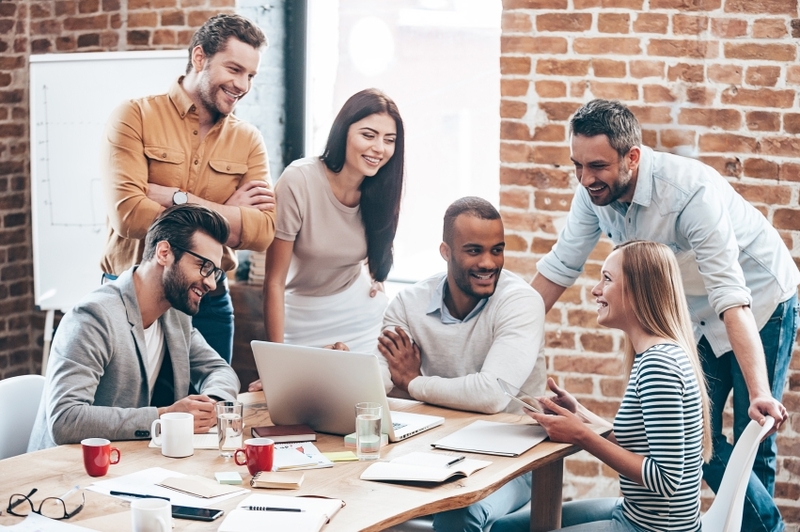 However, engagement is such a big issue for many companies that managers and top-level management are willing to try anything to get theirworkforce performance in top speed. If businesses do not do anything with disengaged workers, the business will suffer. For many teams, gamification might be the key. Gabe Zichermann said in his book Gamification by Design, “gamification is 75% psychology and 25% technology.” What gamification does is it taps on the psychological cues that push our day-to-day decisions. A gamification tool is a platform for competition, achievements, and progress management. Gamification is fun–but it has one objective. As a manager or C-level executive, you are willing to try gamification to get the results you want: encourage productivity and engagement of your employees. The biggest hurdle to this is also one thing: Behavior is not an easy to change. To change behavior, there are three elements that must converge, according to Professor B.J. Fogg. The experimental psychologist at Stanford University says that motivation, ability and trigger are the three things that have to happen at the same time for behavior to change. Can gamification impact your employees’ behavior? Why does sales gamification work? Gamification only works when it motivates your employees to do something. While it can be successful in curbing bad habits and promoting better behavior, it’s important to have a basic understanding of where the motivation comes from. Done badly, gamification can have the opposite effect on your employees than intended. When your employees pursue an activity for its own sake and not because external forces compel them, they gain motivation. They feel in charge. If your employees are given the opportunity to select a course of action based on their own opinions, they will tend to stick to their goals for a longer period of time. Your employees are more motivated when something of value to them is at stake. If they think it’s important, they’ll work harder on it. Staying true to their beliefs makes them more invested in their job. As your employees invest more time into an activity, they will become more competent in it. Believing that effort fosters competence can inspire your employees to work harder on their goals. Gamification increases employee engagement because it changes the way employees interact with their work and their colleagues. According to Scott Buchanan of Nice, it increases their commitment, motivates them through competition and inspires collaboration. To handle complex issues, organizations need more skilled agents. Usually, this requires formal training sessions for your staff. This method takes people away from their work and cost the company valuable staff hours. One of the alternatives to this process is done with gamification. Your goal is simple – have a skilled agent. Instead of scheduling training sessions, create an arbitrary award for those that meet the requirements of a skilled agent. Have your employees work on becoming an “X skill Guru”, “Product X Master” or “X Badge” owner on their own free time. To achieve those, give them set of tasks they must complete to earn it, something that your employee can do after going through 20-hours training. A lot of corporations have whiteboard or email contests on a monthly basis. Gamification provides an alternative to this, but rather than running a single contest, you can engage your employees in multiple “quests” or contests simultaneously. These quests can range from “The best customer feedback”, “The fastest response time” to anything related to your line of work. Have your employees compete for “Top scores” or the best rank. Mix all these contests together and have a “leaderboard” for personal, team, and company score. Make sure your employees can track their records on these leaderboards and encourage them to share their achievements. It’s motivating when recognition comes from achievements that are aligned with company goals. Gamification can be a powerful tool in driving collaboration between your employees. The employee who was a top performer last week can be encouraged to publish their best practices for others to view. In doing so, they can even be rewarded with a special badge if they produce top-rated content. This allows employees to seek out one another. If a new hire is working toward a new badge and is confused by a single objective, gamification allows him to reach out to those who have already earned it and ask for their advice. When all these are met, gamification can change employee behavior. Motivated and engaged employees are the natural result. Well, does it work in practice? Gamification is not an awfully new concept, companies have been using gamification not only in the workplace but to keep customers motivated to stay with their services. According to the data science gurus over at Gartner, 40 % of the Global 1000 will use gamification as the primary mechanism in transforming business operations. That’s before 2016! Gamification is seen as a top and legitimate form of enlivening employees. With top corporations and organizations hopping on the gamification wave, it’s only logical to project that more smaller-sized and smaller-scale companies will follow suit. If the best is doing it, why won’t you? It’s not like gamification is not scalable. From small to huge teams, there are gamification tools and mechanics that can be applied. In a study conducted by the Pew Research Center’s Internet & American Life Project and Elon University’s Imagining the Internet Center, some 1,021 technology stakeholders and critics were surveyed on gamification’s future. 53% said that gamification will play an important role in the workspace and will be widespread by 2020! The rest of them said that gamification will play an important role but won’t be as widespread. Gamification really holds a good place in management efforts. Engagement is one of the biggest and most pressing management issues across industries. Gartner said that 70% of business transformation efforts fail due to disengaged workers! There are tons of business solutions that aim to streamline work, marketers that help with filling the sales pipeline, research companies that help you evaluate your market–but when the effectors and implementers are disengaged, it’s hard to push any development. Companies need to co-opt techniques used by game developers to keep players interested. Using incentives is one way of achieving employee engagement in light of transforming business operations. And gamification pioneers are getting in on a market that’s about to blow up! In 2012, the market for gamification was at $242 million. It was sizable but not really significant to make ripples to other industries. 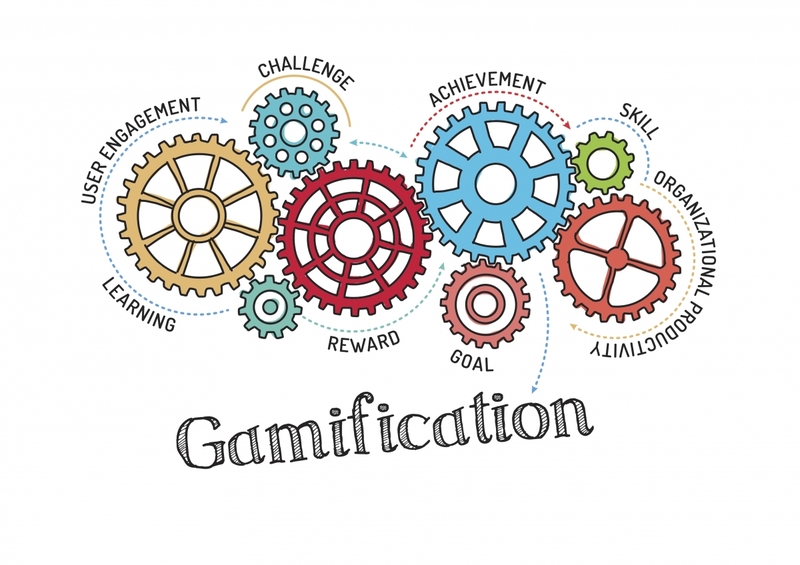 But in an M2 Research-headed study, it was revealed that by 2016, gamification will be a $2.8 billion industry, with the primary market being enterprise-level workforce. Well, how has it worked for companies who use it right now? Stewart Agency, an insurance company, doubled their three-year productivity in just two months with gamification. Through this new approach, their agents managed to collect double the number of email addresses in their database. Here’s how they did it. The objective was simple: Collect more email addresses from leads. The management knew that this wasn’t a simple task. They need a motivated workforce to reach that objective. They needed a shift in behavior, to change the behavior that caused them to need more contacts! They incentivized the objective by starting a competition among their sales representatives based on the number of email addresses they can collect over a couple of months. The result: In two months, their existing email addresses were doubled. Those existing addresses were collected over three years! In 2013, Salesforce surveyed 100 Sales VPs who are using gamification to help with employee engagement. To say the results were staggering is an understatement. Gamification is the future of workforce management. The little pockets of success are definitely an indication of better things to come for gamification. Do you think gamification can improve your team’s operations? Let us know your thoughts and comments! Tenfold provides sales performance applications to enhances sales, marketing, and CRM capabilities and provides a series of articles, blogs and while papers to educate and stimulate debate. This topic contains 0 replies, has 1 voice, and was last updated by Tenfold 1 year ago.